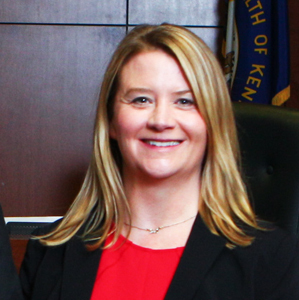 Kirsten Daniel attended University of Louisville Brandeis School of Law and graduated in 1994. She has dedicated her career to trial practice concentrating on medical malpractice, corporate negligence and catastrophic injury cases. Kirsten has obtained multi-million dollar jury verdicts, including those in such high profile cases as Ogborn v. McDonalds Corporation, CSI v. Louisville Metro Housing Authority and Mitchell v. Big Springs Assembly, among others. In part because of her proven track record at trial, Kirsten has successfully resolved many multi-million dollar cases through settlement negotiations. Ms. Daniel spent many years concentrating on medical malpractice, hospital and nursing home negligence cases, and has both the necessary legal and medical knowledge to successfully prosecute these complex cases. Prior to devoting her practice to helping victims of abuse and negligence, her years spend defending physicians, hospitals and nursing homes gave her the experience, reputation and knowledge required to successfully pursue these types of cases. Kirsten has successfully resolved many other types of catastrophic injury cases and has a particular passion for advocating on behalf of those most vulnerable in our society, such as children and the elderly, who have been injured or killed because of neglect, inattention, or abuse. Because she is selective about the cases she accepts, each client is guaranteed the personal attention and guidance necessary to help them through the legal process. She has the experience required to help families and individuals who have already experienced unimaginable loss find some solace, peace and compensation by holding negligent individuals, hospitals, nursing homes, and institutions accountable.